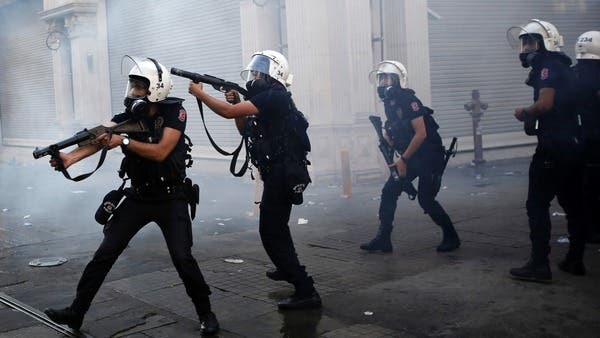 Turkey’s prime minister on Saturday remained defiant in the face of violent protests surrounding a government plan to redevelop Istanbul’s Taksim square. Recep Tayyip Erdogan vowed to press ahead with the controversial plan despite unrest, one of the biggest challenges Turkey’s Islamist-rooted leadership has faced in its decade in power. Officials say the redevelopment includes building a shopping mall and the reconstruction of a former Ottoman army barracks. “We will rebuild the (Ottoman era military) barracks,” Erdogan said, though he added it was not clear whether the new site would then function as a shopping mall, as feared by the protesters. 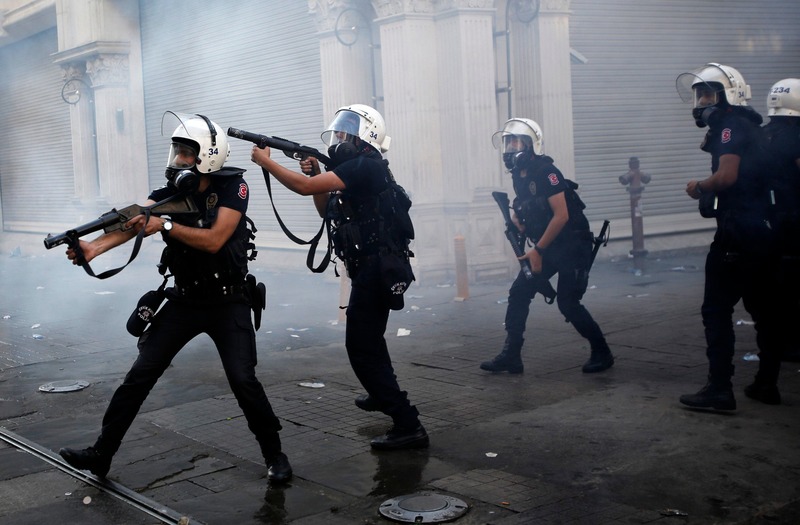 On Saturday police fired tear gas at protesters gathering in Taksim Square, the epicenter of the demonstrations that have left dozens of people injured and have earned Turkey a rare rebuke from its ally Washington. Protesters in turn hurled rocks and bottles at the police. 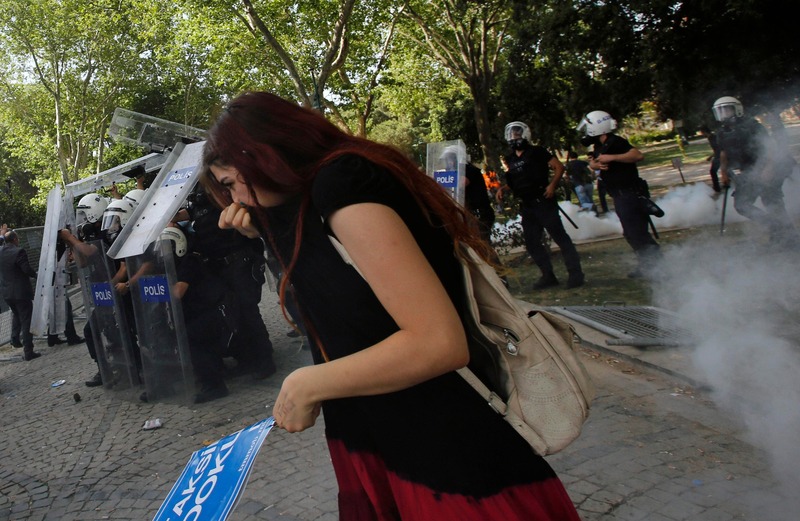 “I call on the protesters to stop their demonstrations immediately,” Erdogan said in a speech, as clashed raged for a second day at the square, a popular tourist destination and traditional rallying site in Istanbul. 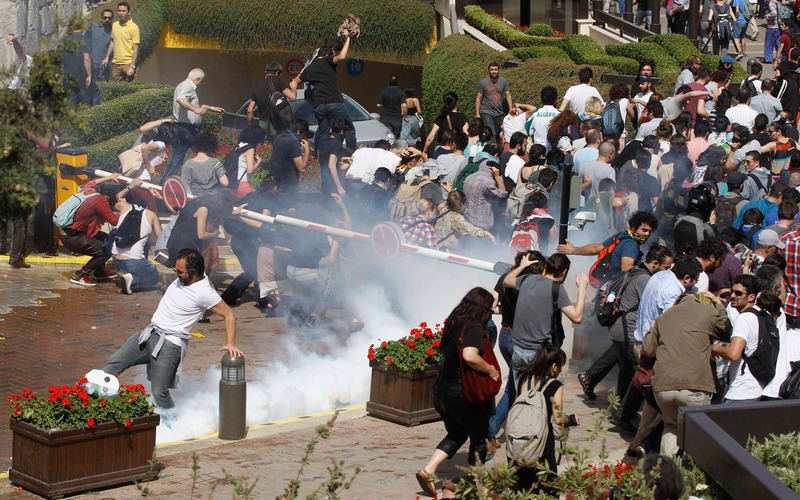 Private Dogan news agency reported later that police were removing barricades placed around the square. The Anadolu Agency said police were leaving Taksim square, after brief scuffles with protesters who hurled fireworks at withdrawing officers. But what started as an outcry against a local development project has snowballed into widespread anger against what critics say is the government’s increasingly conservative and authoritarian agenda. “We have become one fist,” 33-year-old Ataman Bet said as he swept up shattered glass outside his small coffee shop near Taksim. 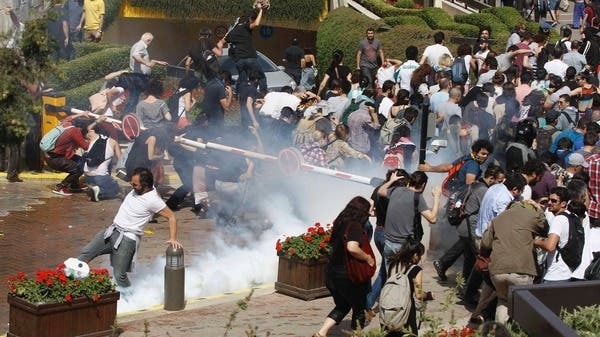 The unrest has spread to other cities across the country, with police on Saturday blocking a group of demonstrators from marching to parliament and the prime minister’s office in Ankara. The Istanbul protest began as a peaceful sit-in at Excursion Park across the iconic square, to prevent workers from razing the last patch of trees in the commercial area to make way for the restoration of Ottoman era military barracks, which residents fear will serve as a shopping mall. “We will rebuild the barracks,” Erdogan vowed in his speech, indicating he would not give in to the protesters, who have criticised the police’s heavy-handed crackdown. 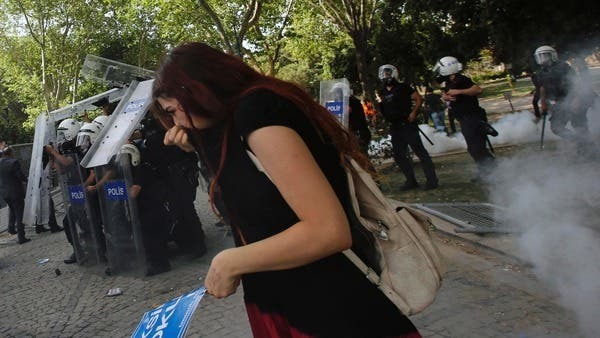 “We were sitting there around the square and reading a press statement when the police came toward us with riot vehicles, spraying gas,” said one of the protesters, 34-year-old Burak Ozbey. He said his friend had undergone brain surgery after she was shot in the head on Friday with a gas cannister and remains in critical condition. The Turkish premier said plans for the shopping mall were not finalised and the barracks could also function as a “museum”. 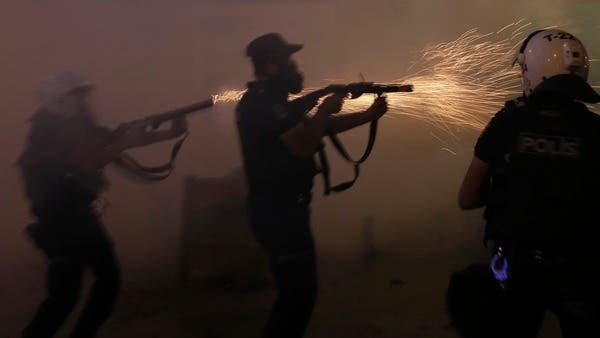 Authorities said a dozen people were being treated in hospitals, but Amnesty International said more than 100 protesters were reportedly injured in clashes. 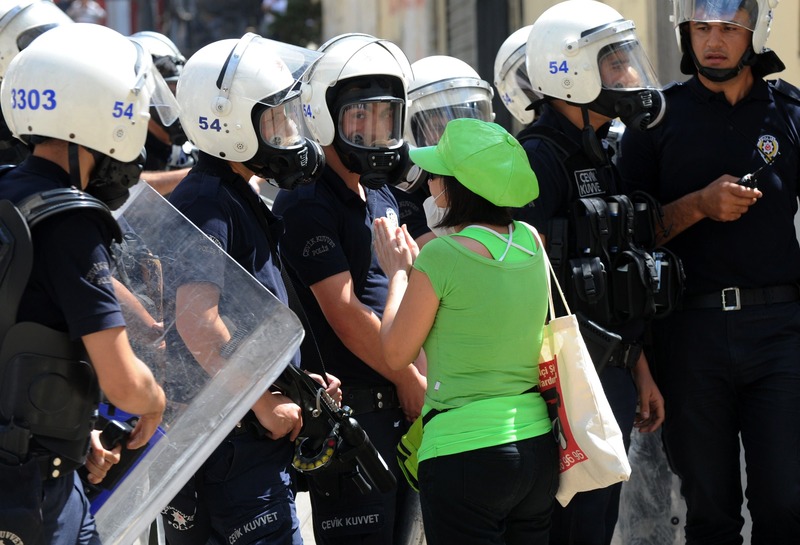 More than 60 people have been detained as a result of the unrest, according to regional authorities. 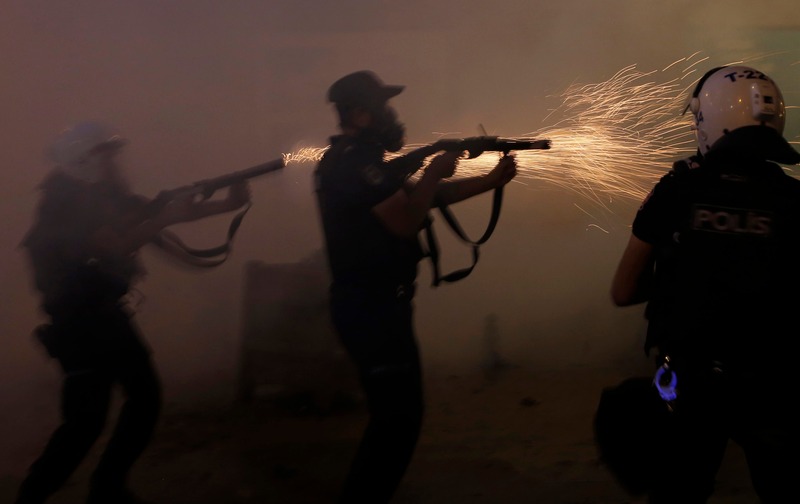 Clashes raged during the night, as thousands of people marched through the city, some banging pots and pans as residents shouted support from the windows. Others held up cans of beer in defiance of a recent law, supported by the ruling Justice and Development Party (AKP), which prohibits the sale of alcohol during nighttime hours and was seen by critics as the latest sign of creeping conservatism. “They want to turn this country into an Islamist state, they want to impose their vision all the while pretending to respect democracy,” said one protester in Istanbul, declining to give her name. Both Britain and the United States have voiced concern over reports of violence between the protesters and police.